People will stand behind a product they love. But getting them to pick your pour in the first place is all about what’s on the outside. In 2015 craft spirits leapt to 3% of total US spirits sales from 2010 levels of 1.1%. Sound small? That trajectory is moving faster than craft beer did before it became the new normal. And there’s plenty of room to grow. There are already 1,300 early-mover craft distillers active in the US. And with thousands more age-old international brands lining the bottle shop shelves, things are great for consumers – but progressively challenging for brands. People will stand behind a product they love. But getting them to pick your pour in the first place is all about what’s on the outside. 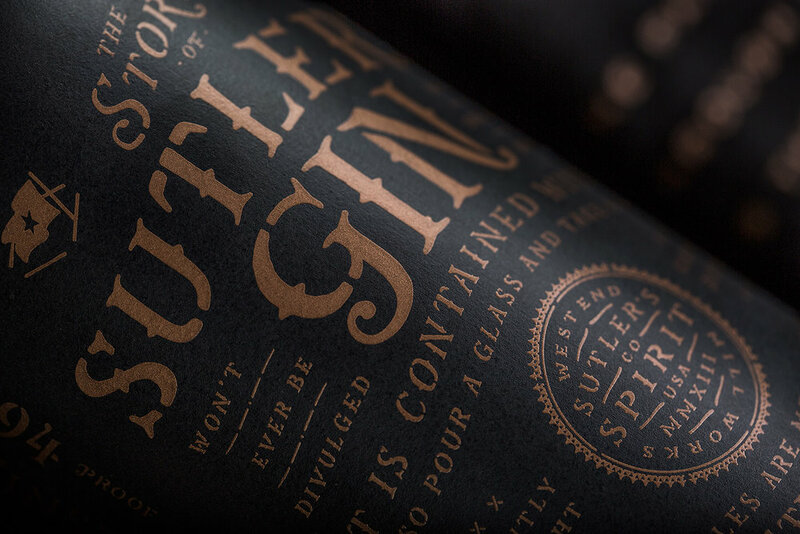 With a growing pool of producers jostling to be the G in that G&T or the whiskey to your neat, your branding and brand platform are more important than ever. - / 01 / BRAND PLATFORM? WHAT’S THAT? If the phrase “brand platform” threw you for a loop, don’t worry. Mix up an Old Fashioned and settle in for some learning. Your brand is the promise that you make to your customers – and how they think about your company, your product and your culture. Let’s go back a step and start with your “brand”. People often think of a brand as being a logo or a name, but it’s far more than that. Your brand is the promise that you make to your customers – and how they think about your company, your product and your culture. Every interaction they have with your brand online, in-store, on social media or elsewhere shapes how people perceive your brand, which in turn shapes your brand. Going off-brand or not having a clear idea of what your brand stands for and where it sits in the market can weaken your brand in consumers’ eyes. After all, if you don’t know who you are, how can they? The reason so many distilleries fail is because they lack proper branding and positioning. 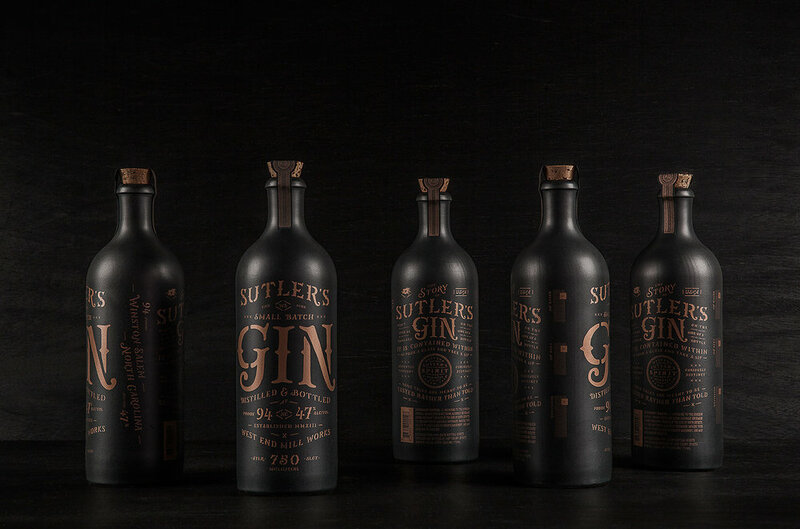 Having a great product is one thing, but if customers don’t understand what it is, why it’s great and that they should absolutely mix it with tonic water, then they’re going to drink elsewhere. This is why you need a brand platform. A brand platform is used to define your brand’s identity – who you are, what you offer, and what you sound like – so that every time consumers pick up your bottle, read your mixology tips or follow you on Instagram they get a clear, consistent experience. Developing a distinct brand platform requires a refined palate for insight and nuance. A brand platform is a series of customer-oriented guiding principles that uniquely capture your brand’s qualities, what it stands for, and how it communicates. It should be precise, distilled – or even triple-distilled – and distinctive. Think of it like the tasting notes of your brand. 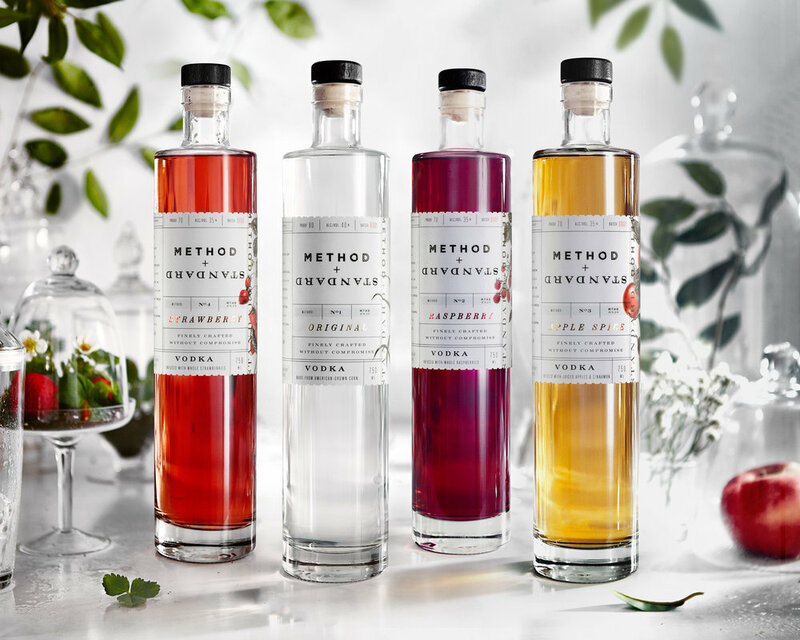 We collaborated with the Method + Standard creators to help them build their brand based on the idea that "their Method creates the Standard" for Vodkas. This allowed for us to be clever with how the story was expressed. More of this project can be viewed here. Values: Like a person, your brand acts and behaves in line with a series of beliefs and principles: these are your values. These single-word terms will influence how you speak, act and do business, so make sure you can stand behind them. Maybe optimism is your thing. Or maybe you’re all about fun. Essence: The heart and spirit of your brand expressed in three words or fewer. This is your claim to uniqueness – so make it evocative, compelling, genuine, and above all ownable. If it can apply to another brand, it’s not distinctive. Keep trying. Positioning: This is where you want to stand in the marketplace – and in your consumers’ minds. What do you want them to think of when they think of you? What are the benefits that you uniquely offer, and what’s the proof? Personality: Your brand personality is a series of human traits. These capture what you’re like – and also what you’re not like. You might be bold and classic, but never trendy. 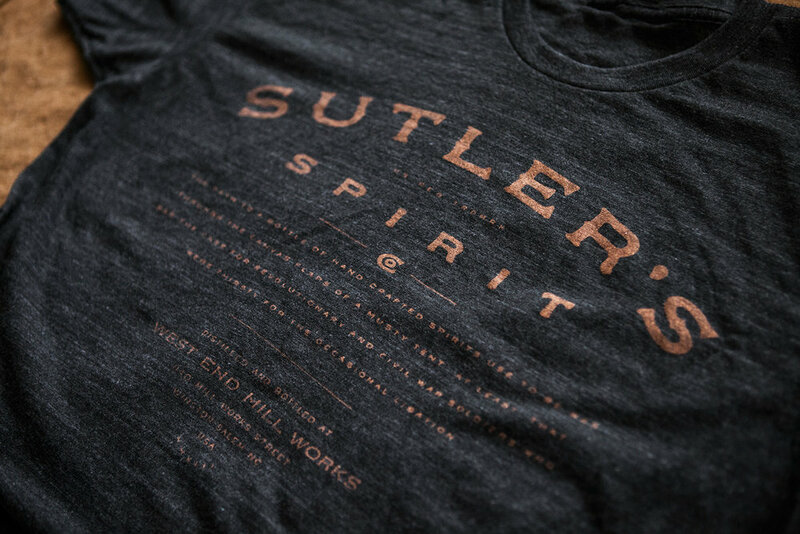 Ask yourself: if your distillery were a person, who would it be? Are you James Bond, Winston Churchill or Homer Simpson? Voice: This is how your brand speaks. The words you use (or don’t) and the way you use them form your voice – which draws heavily from your personality. Do you say drinks or booze? Isn’t or ain’t? Are you prim, or do you curse like a sailor? Naming is all in good fun until you realize that all the good ones are taken. In a market like this, the best kind of name is one that’s available. And if it’s not? Keep at it. The right one will come to you. Before you start buying domains or making signs, revisit your brand platform to make sure that your prospective names reinforce your brand platform and positioning. Keeping your values, personality and essence in mind will help you come up with a name that sounds like you – and not just like a trend or a bunch of cool words stuck together. Names should be easy to remember, easy to pronounce, likeable and flexible enough to work with product names. While your name is who you are, it’s not all about you. Before you opt for a weird spelling, the word for liquor in ancient Hungarian or something that works nicely with a .ly domain, think of your customers. Names should be easy to remember, easy to pronounce, likeable and flexible enough to work with product names. You also want to leave some room for growth – don’t name your brand 80 Proof Vodka if you plan to expand to dabble in Whiskey later on. The naming stage is also a good time to lawyer up. Find someone knowledgeable in trademark law and keep their number at the ready for anything relating to product names, taglines and even brand imagery. Trademarks and regulatory approval go hand-in-hand in the liquor industry, so save yourself a potential headache by keeping someone savvy on retainer.